Arts, Music and Crafts, Welcome to the Annual Autumn Daze Craft Festival! Fall season is a great time to enjoy your dream vacation in Branson as there are many special events and festivals happening during this time of year. The Annual Autumn Daze Craft Festival is one of the most popular events at Silver Dollar City which will be held this year from September 15-17. 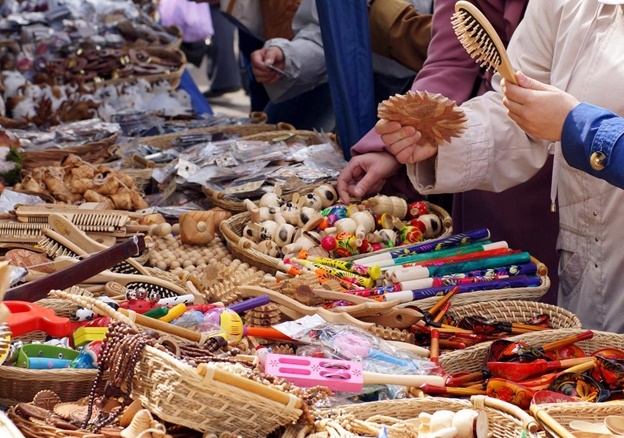 This festival features more than 150 craftsmen and artisans showing their handmade craft items. Visitors to this event can take the advantage of the sidewalk sale in downtown Branson which is set to open from 9am through 6pm. Only handmade crafts made by resident craftsmen are displayed in the festival and no other factory produced items. The Annual Autumn Daze Craft Festival gives visitors the opportunity to take a bit of Branson’s rich American history where crafters and artisans offer a wide selection of their homemade works of art and other hard-to-find craft items. Many of them display their unique creations. If you are lucky, you can have the chance to watch some of them showing their techniques in creating their works in front of you such as pottery, quilt making, crocheting, knitting, hat making, glass blowing, vase making, and much more. The things that you are going to enjoy during this autumn event in Branson include the area’s exciting activities such as craft making demonstration, enjoying great food and entertainment. This great event in Branson, is a grand community celebration that offers visitors from all ages unique works of art and great performances from local entertainers. This exciting three-day event features attractions like concerts with great performers, food booths, local artists showcasing their one-of-a-kind art work, a sidewalk sale, and a celebrity autograph booths giving visitors a chance to take photos or purchase CDs. Everybody can attend the celebration for free. There will be two large tents to be set up during the festival to cover the vendor area. Throughout the event the entertainment stage will feature free live musical entertainment from some of Branson’s finest performers. Craftsmen and artisans will participate in the festival that come from many states around the country. Many of the visitors will find the place loaded with a variety of items including wood crafts, quilts, crocheted and knitted items, clothing, jewelry, hats, purses, toys, ladies’ accessories, floral arrangements, ironworks and collectibles. For over 40 years, the Annual Autumn Daze Craft Festival at Silver Dollar City has been entertaining local residents and visitors alike for three days of exciting entertainment, art and craft demonstrations during this fun event. The festival originally started as a simple craft fair, since then it expanded and include display of crafts, delicious food, live music, a celebrity autograph booth, and plenty of craft items for sale. During this festival, many of the visitors don’t want to miss checking out the fantastic Ozarks arts and crafts. So, if you want to experience the fun of autumn festival, come to Branson and attend the Annual Autumn Daze Craft Festival.